This sprawling double CD of extended harmonium performances was my first real exposure to the solo work of Sylvester Anfang II's Glen Steenkiste and it is quite a curious introduction. The closest kindred spirits are probably La Monte Young's "The Second Dream of the High Tension Line" or Stars of the Lid at their most pastoral, as Steenkiste devotes his energies to crafting deep, meditative drones that strain towards lightness and transcendence. Hellvete's work is not nearly as harmonically adventurous as the just intonation/Pandit Pran Nath-inspired milieu, but Steenkiste compensates somewhat with an unusual feel for time and a willingness to blur together music, ritual, and chance intrusions from the natural world. The less inspired passages tend to feel like sustained and halcyon suspended animation to me, yet Droomharmonium occasionally transforms into an entrancing bit of magic and wonder when Steenkiste is joined by some curious birds or the harmonium disappears to make way for some eerily twinkling bells. The opening “Droomharmonium V” starts the album in appealingly disorienting and unpredictable fashion, as a brief flourish of mass-like harmonium is quickly cut off to make room for a sublime passage of deep gong-like tones, chirping birds, and gently buzzing strings. It is quite a lovely interlude, establishing a very clear sense of place and striking a perfect organic balance between nature and art. In fact, tt does not feel like Steenkiste is performing so much as it feels like he is masterfully and quietly framing the contributions of his avian collaborators. Gradually, however, the harmonium reasserts its supremacy and blossoms into an improvisation that sounds simultaneously Middle Eastern and medieval. I am always a fan of temporal dislocation, so I enjoyed the ephemeral illusion of being transported to an ancient Persian palace. The Middle East is actually an extremely apt reference point for this album in general, as it is akin to a vast desert of sustained harmonium drones that occasionally blossoms into ephemeral mirages of something deeper and more vibrant. I specifically chose "mirage" rather than "oasis," as Droomharmonium's shifting sands only converge into more complex structures precariously and fleetingly–everything beautiful is damned to dissolve into a faint memory as the all-consuming thrum inevitably re-establishes its dominance. That aesthetic perversely makes Droomharmonium an intriguingly challenging and ambiguous listening experience. In an uncharitable interpretation, it can be viewed as an overlong and indulgent release with lengthy lulls separating all the good parts. Alternately, Droomharmonium can be viewed as a meditative ritual that requires me to slow down my consciousness to meld with its glacial flow and languorously swaying pulse. When I am able to adapt to Steenkiste's slower-than-human timescale, I am rewarded with a deep sense of serenity punctuated by occasional glimpses of something more deeply beautiful and mysterious. Curiously, those sublime passages of something more compelling than radiant, gently undulating drones often tend to occur near the beginning of these four pieces rather than as any sort of culmination, which I suspect is necessitated by Glen's purist, overdub-free approach to these performances. 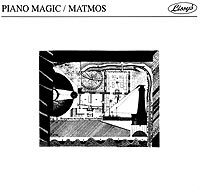 He might set the scene with a gently hallucinatory dreamscape of twinkling bells ("Droomharmonium VII"), but once he gets serious about building up his sun-dappled mass of shifting harmonium tones, he is unable to focus on anything else (Steenkiste has a finite number of hands, sadly). That is unfortunate, as those ephemeral tastes of other instrumentation provide some welcome textural variety, though I suspect Steenkiste views their all-too-brief lifespans as a necessary casualty in his larger struggle to create something deeper and more profound than mere music. 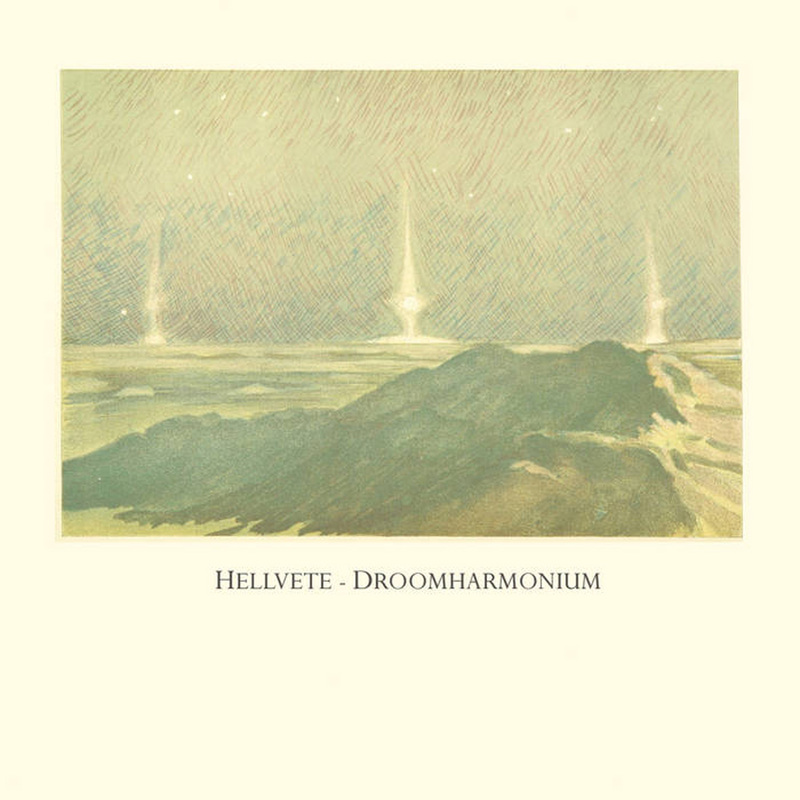 Having heard some of Hellvete's non-harmonium work on Nachtwacht, I can say with certainty that Steenkiste is a talented multi-instrumentalist with a gift for strong melody and a solid intuition for pacing, so Droomharmonium's improvisatory hyperminimalism is very much a deliberate and consciously experimental choice. As such, I would describe Droomharmonium as a mixed success that I have conflicting feelings about. On a purely gut level, these pieces are simply too one-dimensional to fully connect with me and I prefer Hellvete's more conventionally musical fare. Particularly nagging is the fact that most of the elements of a more compelling, multilayered work are present, but are unable to linger once the harmonium kicks in. On another level, however, I very much appreciate that Steenkiste had the ambition and vision to cast aside everything he knows and attempt to construct a monolithic temple of transcendent drone. That transcendence did not quite bridge the gulf between performer and listener for me, but such a grand, quixotic undertaking certainly got my attention and respect. For better or worse, this is a truly unique album. In fact, it is only an album in the most literal sense, as it would be far more accurate to describe Droomharmonium as a vicarious glimpse of one man's deep "om" as he dissolves his ego in slow-moving clouds of overtones.